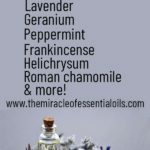 Peppermint oil is popularly used for a wide range of health problems: from fighting halitosis to relieving arthritic pain but did you know that it can also be a life saver for those with severe eczema? 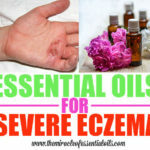 In this article, we shall explore the benefits of peppermint oil for eczema and how to use it with 3 easy DIY recipes. Cooling & Soothing. With its high menthol content, peppermint essential oil cools down feverish and overheated skin, which is a characteristic of eczema, providing a soothing relief. Anti-Itch. Applying peppermint essential oil diluted in a cream/plant oil to itchy eczema alleviates the itch. It’s antiseptic properties also help disinfect the skin, keeping it free from skin irritating microbes that cause itching. Anti-Inflammatory. 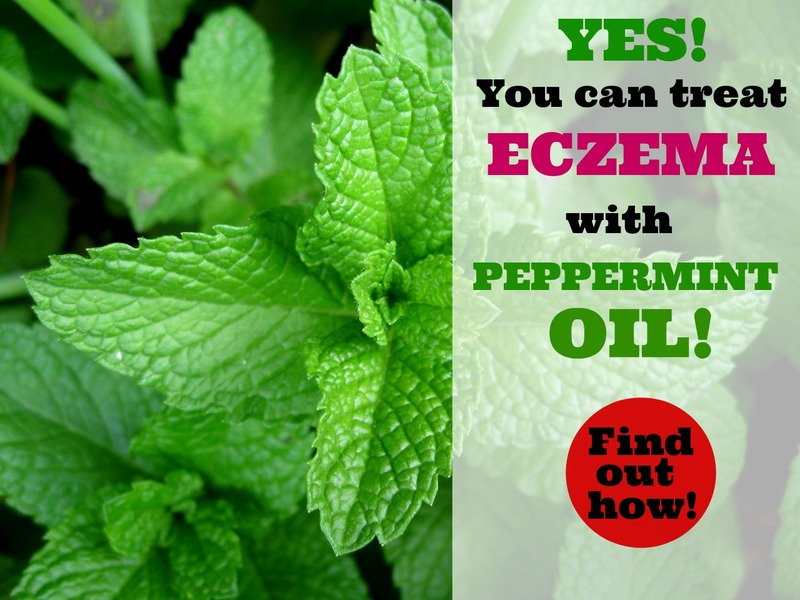 Peppermint essential oil also has anti-inflammatory effects that help reduce eczema related inflammation and redness. Relieves Pain. The analgesic properties of peppermint together with the numbing effects of menthol found in peppermint essential oil help effectively manage the pain brought about by itchy eczema rashes. Get a handful of fresh peppermint leaves and stuff them into a glass jar. Make sure the leaves are completely dry without any sort of moisture on them. Now pour in enough olive oil to immerse all the leaves. Leave it on a sunny window sill for about 2-3 weeks so that the peppermint can infuse into the olive oil. Use the peppermint oil infusion in the DIY eczema lotion in #3 below or apply it straight onto your affected areas right after a shower to lock moisture. 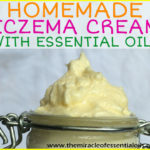 This DIY eczema cream is more potent as it contains peppermint essential oil rather than an oil infusion like in the above recipe, plus it also has powerful healers like vitamin E, which is well-known for its skin regenerating and emollient properties. It also contains antibacterial and easily penetrative coconut oil as well as intensely lubricating oleic fatty acid-rich shea butter. 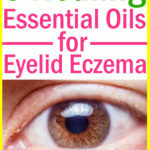 The vitamin E is optional but very useful in this recipe to calm eczema. You can add more/less number of peppermint essential oil drops according to your preference but please remember that when it comes to essential oils, a little goes a long way. In an electric stand mixture, whip up soft pure shea butter with the coconut oil till you form a creamy texture. It can take 3-5 minutes. Then poke 2 vitamin E capsules with a safety pin and press out the oil into the bowl and add the peppermint essential oil. Whip again for another 5 minutes for a fluffy white whipped-cream like consistency. Transfer into a clean container and use a liberal amount on dry and itchy eczema patches after a shower on wet skin to seal in moisture. 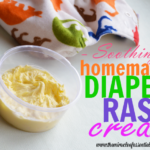 This homemade eczema lotion recipe uses beeswax and olive oil to make an ultra lubricating treatment to help extremely dry and itchy eczema. Beeswax is a surfactant which leaves a protective coat on the skin that keeps away irritating germs and locks moisture into your skin. 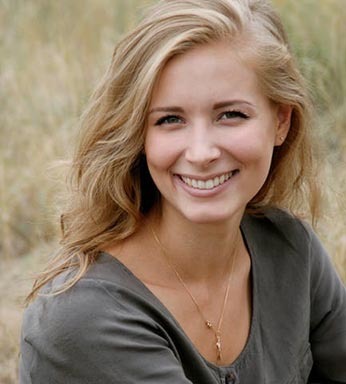 Olive oil is rich in healing vitamin E which is not only a great moisturizer but also a powerful antioxidant. 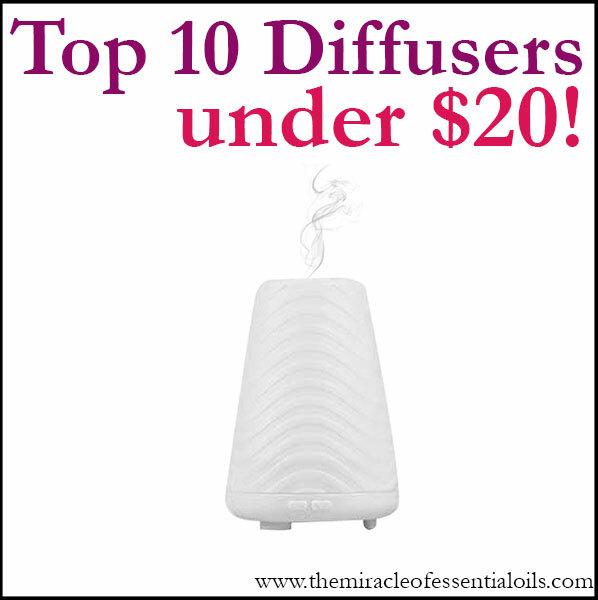 Place all the ingredients except peppermint essential oil in a mason jar. Now place the mason jar in a saucepan filled with water (the water should reach ¾ way up the canning jar, please don’t let any water get into the jar). Gently heat the saucepan over medium/low heat on the stove top. Stir frequently to help the ingredients melt faster. Once melted, remove from heat and place the jar near an open window to cool down to room temperature. If you’re feeling impatient, then you can place it in the refrigerator for 15 minutes. When cooled, get a fork and vigorously stir it to form a creamy lotion. 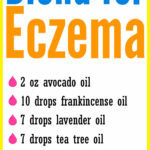 Use a little amount on your eczema to manage flare-ups and keep the skin moisturized and flake-free. The kind of peppermint oil you should get for maximum results is 100% pure and therapeutic grade peppermint essential oil. It’s best to stay away from products labeled just peppermint oil without the word ‘essential’ because these usually contain additives like synthetics and fragrance which are big no-no’s for sensitive and easily irritated eczema skin.